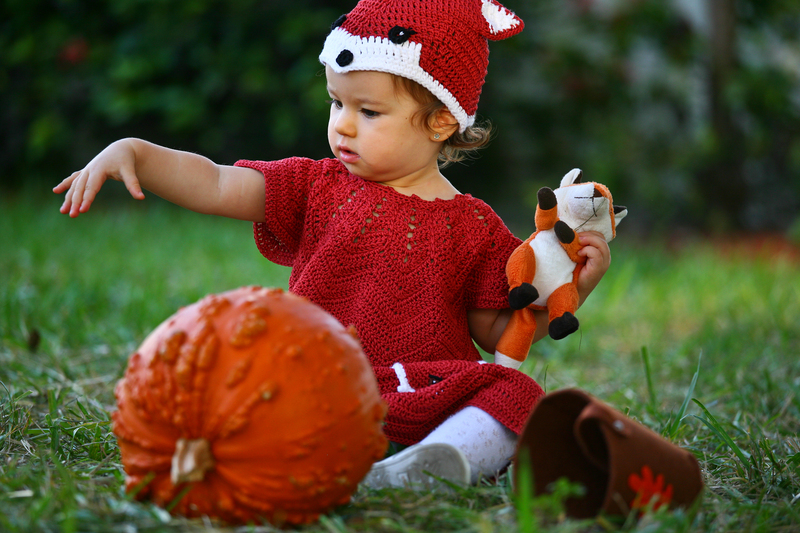 I wanted Sonia to have a foxy dress for autumn, she likes her Ikea stuffed foxes and says Vulpea all the time. I followed the basic pattern in the link, but couldn’t read it in Russian, so I followed the schemas and approximated the number of repeats and increases. It is not made in the round, I turned in the center back, leaving an opening for about 15cm. 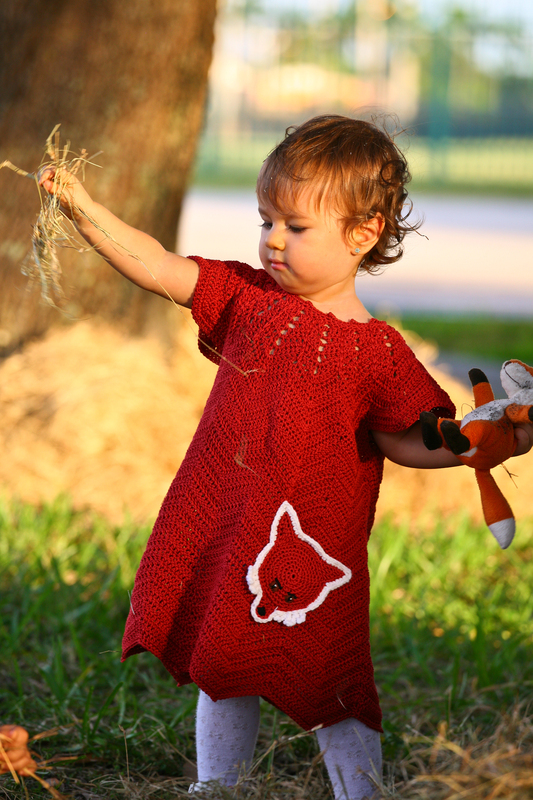 When the dress was done, I crochet again along the neckline, adding the picots and the button holes in the back opening. it has 3 sewn on flat buttons. I’ve made a lot of mistakes, but almost everything in crochet can be fixed with steam! shhh! 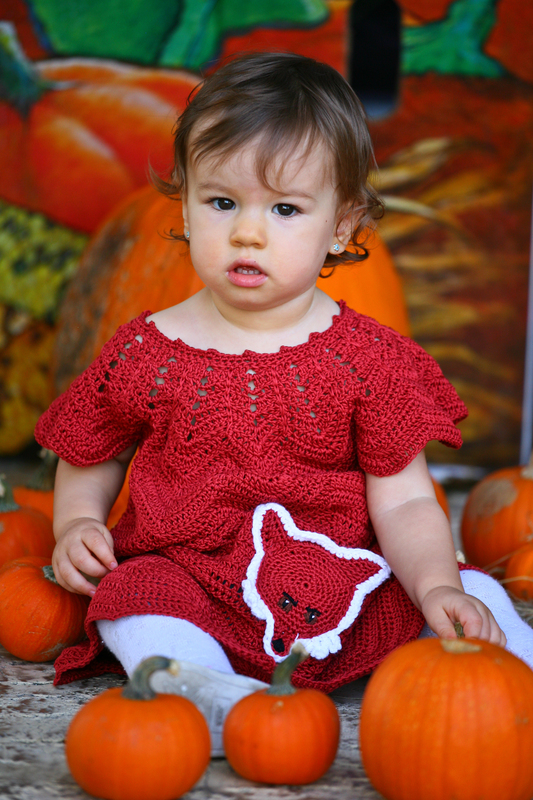 The applied fox is a simple crochet circle, with ears and an elongated nose. The eyes and nose are embroidered over using a big needle with crochet thread number 10, in brown, black and a dot of white. It is sewn on with needle and regular sewing thread as a pocket, from upper ear corner, around the bottom nose, and up to the other ear corner, leaving the top part open for the pocket. Crochet 5 single crochet stitches. Skip 5 stitches from the circle and slip stitch in the next crochet. This will create the basic triangle shape of the ear. Repeat for the second ear… I approximated the distances. 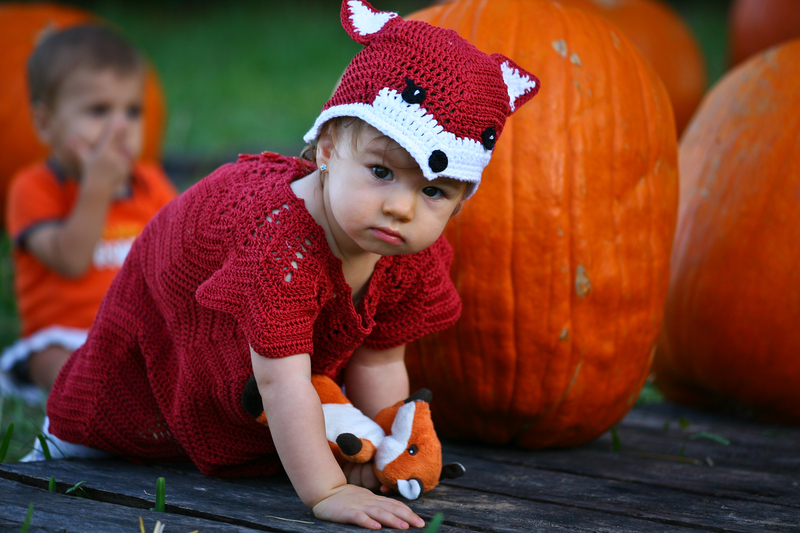 I also crochet the foxy hat to go with the dress, and Sonia admires herself in the mirror repeating the word Vulpea (Fox) when wearing it.